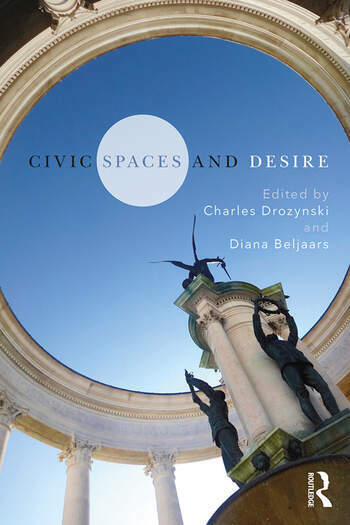 Civic Spaces and Desire presents an original and critical appraisal of civic spaces for a novel theoretical intersection of architecture and human geography. The authors address civic spaces that embody a strong moral code, such as a remembrance park or a casino in various places in the UK, Europe, North-America, Australia and Asia. The consecutive chapters of the book present these chosen spaces as the interconnection between the every-day and the ideological. By doing so the book reimagines the socio-political effects of the counter-cultural assemblages and ontologies of difference that these spaces produce, represent and foster, as presented through outcasts and nomads of various kinds and forms. The book reflects on different interpretations of the key texts from primarily post-linguistic theoreticians, such as Gilles Deleuze, Félix Guattari and Jacques Derrida. It will benefit students and academics in architecture, geography, philosophy, urban studies and planning seeking to understand the politics of space, place and civility. By deconstructing normative ideological constructs, the book uses the concept of desire to explore the tensions between expectations of civic spaces and the disappointment and wonder of their immanent existence. Charles Drozynski is a lecturer working in the University of West England and a part II architect. In his academic career he has taught and lectured in a number of universities across the UK. His Ph.D. thesis, written in Cardiff University, focussed on the intersections of architecture and post-linguistic schools of thought; in particular those put forward by Michel Foucault as well as Gilles Deleuze and Félix Guattari. His research interests include the entanglements of the subvert in society and architecture as well as the development of new technologies that arise from unconventional ideas. He is presently pursuing a number of projects such as a book publication on the concept of Generosity in Architecture with his contribution of a Deleuzean reading of the architecture for the parkour subculture (project initiated in Cardiff University); or a chapter on the production and reproduction of nostalgia for a publication on the production og attachment and meaning to places (project initiated in the University of Nevada-Las Vegas). Diana Beljaars is a lecturer in Human Geography with an enhanced research pathway in the Geography department of Swansea University. She joined the department to teach Political and Urban Geography after finishing her doctoral research entitled "Geographies of Compulsive Interactions; Bodies, Objects, Spaces" at the School of Geography and Planning, Cardiff University. Before developing this project, she graduated from a Research masters in Human Geography and Planning at Utrecht University (2009-2012), and her Bachelor of Science at Wageningen University, in Landscape Architecture and Spatial Planning. Her work comprehends de development of an understanding of compulsivity as more-than-medical concept that has socio-political potential, as interactions between the human and the more-than-human. Her work brings together human geography, medical humanities, continental philosophy and medical and clinical study of mental health diagnoses is based most notably on the poststructural, postphenomenological and posthuman theories of Deleuze, Guattari, and Lingis. As such, it draws on and contributes to geographies that seek to go beyond rationality, intentionality and meaning to capture the unfolding of life. As such, her work also directly contributes to an increased understanding of life with human conditions such as Tourette syndrome, OCD, ADHD, schizophrenia, anxiety and personality disorders, depression and suicidal tendencies.